(4 p.m. EDT) -- The popular Canada/New England port city of Quebec City has revealed plans to construct a second cruise terminal at Berth 30, slated to open in 2020. Funded by both the port and the Government of Quebec, the $30 million project will span 100,000 square meters and feature two gangways that can accommodate ships with more than 4,000 passengers. "This new terminal will allow us to welcome larger and newer ships and provide additional gangways to better service our cruise line partners," said Mario Girard, president and CEO of the Quebec Port Authority, in a news release. "Quebec will be the only turnaround port along the St. Lawrence that can accommodate ships of more than 4,000 passengers, making it a strategic investment for the future of the Cruise Canada New England itinerary." Quebec's 2018 cruise season has seen record deployment with eight ships making inaugural calls to Quebec; Disney Cruise Line and Windstar Cruises sailed to the city for the first time this year. 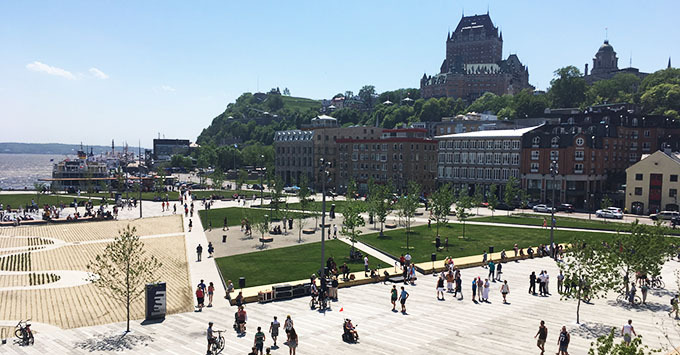 In June 2017, Quebec City announced a number of improvements at the unveiling of its new park, Place des Canotiers. It also won top marks for the U.S./Canada region in Cruise Critic's 2018 Choice Destination Awards.